For close to four decades, GlassWorks has been regarded as the foremost glass company serving customers throughout the Greater Chicago Metropolitan Area. We are regarding as one of the leaders in glass fabrication in the country. Additionally, our company is well-known for its exquisite antique mirrors. The silvering process which is known as mirror antiquing, gives each of our antique mirrors a distinct and a classical appearance. Considered to be the fastest growing glass company in the Midwest, GlassWorks is the “go-to” glass fabrication business where area residents shop for all of their customized antique wall mirrors or decorative mirrors for their residences. No matter the style or kind of antique mirror glass you need, GlassWorks has the ability and know-how talent and expertise to transform your dream antique mirror into a reality! Since 1977, we have been providing award-winning services to dedicated antique mirror customers. In fact, each year we serve approximately 4,000 clients! These are just a few of the many good reasons Northbrook residents prefer GlassWorks over the competition for all their decorative mirrors! Northbrook, Illinois is an affluent village that has approximately 33,477 residents and is in Cook County. Glenview, the home to GlassWorks, is conveniently located nearly six miles southeast of Northbrook. On the occasion that Northbrook residents are searching for the best antique wall mirrors or decorative mirrors in the market, they head directly to GlassWorks. We are well-known for having the most unique antique wall mirrors which are certain to bring a level of sophistication to any Northbrook home. Better yet, GlassWorks is able to tailor an antique mirror to the precise specifications of our Northbrook customers. Furthermore, Northbrook customers also comprehend that in addition to our attractive decorative mirrors adding more space to a room, they will also brighten the room considerably by reflecting light. GlassWorks not only provides the most competitively priced mirrored glass products in the region, but we also offer the most affordable prices. This is why we receive so many requests for our services in glass fabrication. 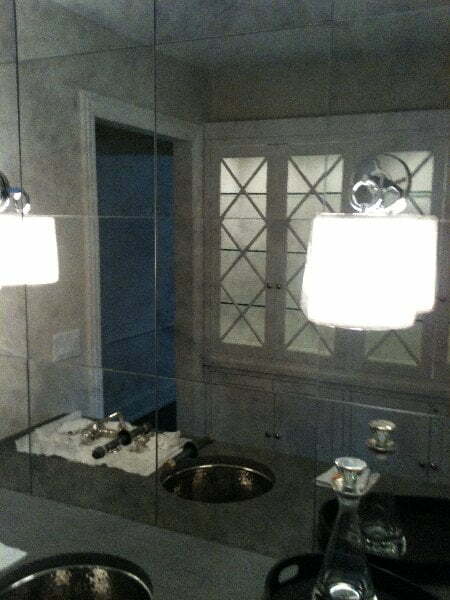 Regardless of the antique mirror or decorative mirrors, our clients want, we can handle it promptly and efficiently! Customers realize that they can count on the GlassWorks’ professionals to treat their homes with the same respect as our installation technicians treat their own homes. They will also ensure that their customers’ decorative mirrors are installed correctly. For the mirrored glass products you want at the prices you can afford, call GlassWorks, today, at: (847) 729-5580 and ask us about our FREE ESTIMATE!